Penelope is a black penguin with a white belly flecked with silver. She has large, glittery blue button eyes and an orange beak and feet. She wears a red, white and green knitted hat with a white pom pom on top and white pom pom tassels that hang either side of her head. It usually fits perfect but at times, very flat. Penelope was released in October 2017. Her Birthday is on 25th November. There are five versions of Penelope. 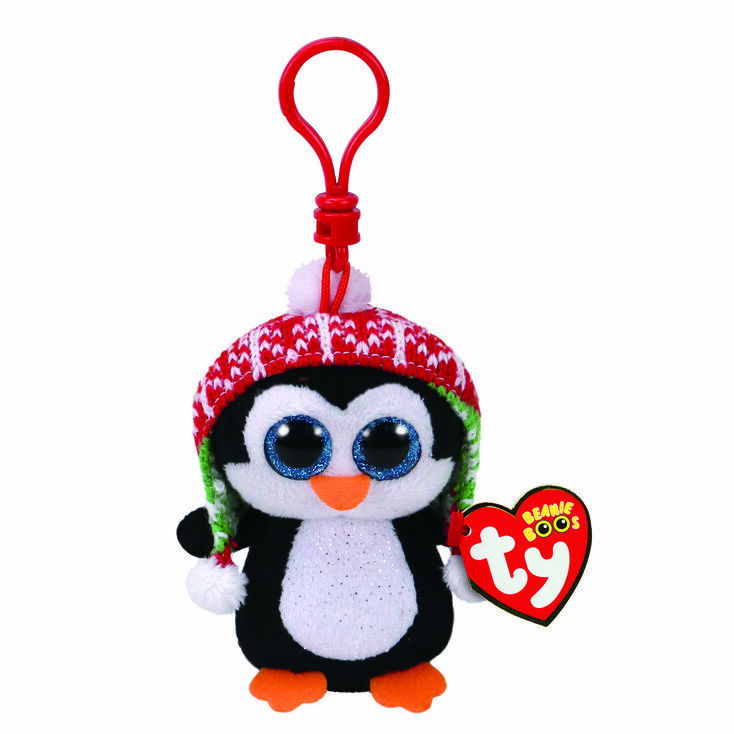 This key clip, a small 6″ Beanie Boo, a medium 9″ Beanie Boo Buddy, a large 16″ version and an extra large 25″ version.